He is an obscure figure to the masses, but mention ‘iceiceice’ to the gaming community and they will find the moniker synonymous with gaming guile. Daryl Koh Pei Xiang, 24, is better known as ‘iceiceice’. The professional gamer is a born and bred Singaporean who is currently based in China to chase his professional gaming ambitions. His gaming allegiance lies with Team DK, a China-based quintet of dexterous professional gamers who competes in Dota 2, a multiplayer online battle arena video game. ‘iceiceice’ began playing Warcraft III at a young age and in 2005, he began his ascent to the pinnacle of professional gaming. He joined a Singaporean gaming team, mVp and that kick-started a slew of gaming gongs, albeit with different teams as the gaming landscape evolved. One notable achievement was his win over Malaysian, Mushi, in The International 1v1 tournament, Dota 2's equivalent of the World Cup. After the competition, his team, Zenith, disbanded and “iceiceice” was drafted into Team DK. This move meant that he had to relocate to China, as Team DK is a Chinese team. The lanky 1.92m gamer will be featuring for Team DK in this year’s The International tournament, held from 18th July to 21st July 2014. The prize pool for the competition currently stands at almost 10 million USD. In the lucrative global eSports gaming industry, ‘iceiceice’ is one of few Singaporeans who thrives. He places Singapore on the world map for his gaming gifts. His passion for gaming began in Singapore; his tenacity brought him to China, treading on an unconventional route of professional gaming. 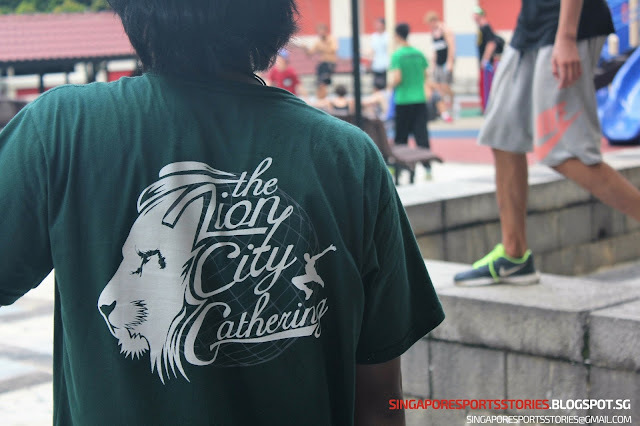 No matter the result at The International 2014, ‘iceiceice’ and his journey serves as an inspiration for budding eSports enthusiasts in Singapore, and in the larger picture, for lesser-known sports in Singapore. Follow "iceiceice" journey on his facebook page here.